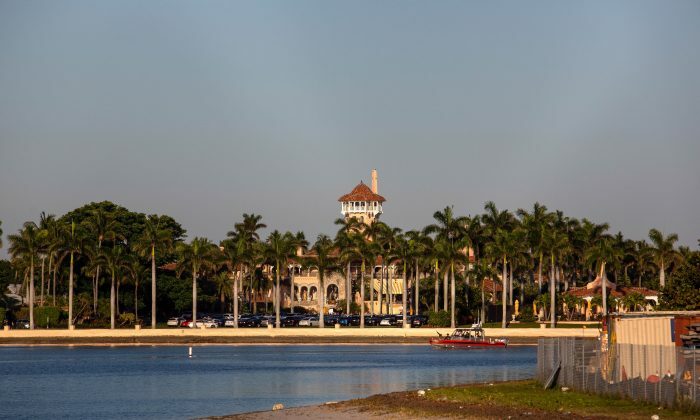 A Chinese woman carrying two foreign passports and a thumb drive containing malware managed to pass an initial security checkpoint at President Donald Trump’s Mar-a-Lago club in Florida on March 30, federal prosecutors allege in court documents. The president was in Florida at the Trump International Golf Club in West Palm Beach, according to White House press pool reports. Prosecutors charged Yujing Zhang, 32, with making false statements to federal agents and illegally entering a restricted area. Zhang told a Secret Service agent at the checkpoint outside the Palm Beach club that she was a member and wanted to use the pool, court documents said. While she wasn’t on the membership list, the agent thought that she may have been the daughter of another member with the last name of Zhang. Zhang’s story changed when she got inside, agents say. After repeated questions by the front desk receptionist, she told the receptionist that she was there to attend the United Nations Chinese American Association event scheduled for that evening. However the event did not exist, the complaint states. The agent said in court documents that Zhang told him that she was there to attend a “United Nations friendship event” between the United States and China, and had come early to familiarize herself with the club and take photos. This again contradicted what she had said at the initial checkpoint about using Mar-a-Lago’s pool. She also showed him an invitation in Chinese that he could not read. When the agent informed Zhang that she had illegally entered the property, she became argumentative, and was then taken to the local Secret Service office for questioning. Meanwhile, the agent observed that Zhang was able to speak and read English with ease, the court document said. Zhang told the agent that she had traveled from Shanghai to attend the non-existent Mar-a-Lago event on the invitation of an acquaintance named “Charles,” whom she only knew through WeChat, a popular Chinese messaging app, the complaint said. She also denied telling the checkpoint agents she was a member wanting to swim, the agent said. Zhang carried four cellphones, a laptop computer, an external hard drive and a thumb drive containing computer malware, the complaint states. She did not have a swimsuit. The 32-year-old remains in custody pending a hearing next week. Zhang faces a maximum of 5 years’ imprisonment and a $250,000 fine for the charge of making false statements to federal agents, and a maximum of 1 year in prison and a $100,000 fine for the charge of illegal entering a restricted area. There is no indication Zhang was ever near the president. There is also no evidence that Zhang has links with Li Yang, a Chinese native and former Florida massage parlor owner. Yang made headlines recently after it was revealed that she ran a consulting firm promising Chinese business leaders access to Trump via events at Mar-a-Lago. The Epoch Times previously reported that Yang has ties to the Chinese regime. In 2016, she became deputy president of the Florida branch of the Council for the Promotion of the Peaceful Reunification of China (CPPRC)—a group that operates under the Chinese Communist Party’s United Front Work Department, a body charged with spreading Beijing’s agenda overseas. Xu Yanjun, a deputy division director within China’s primary intelligence agency, is being charged for his scheme to steal jet engine tech.